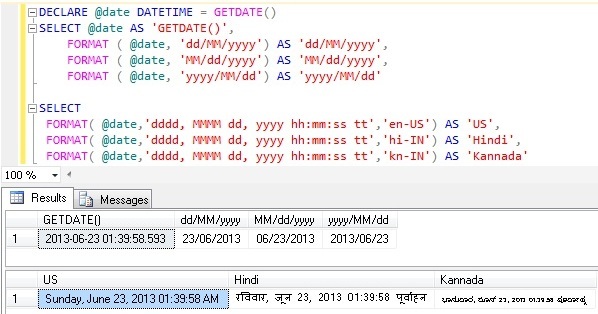 DATETIMEFROMPARTS is one of the new built-in Date and Time Function introduced as a Part of Sql Server 2012. Returns a DATETIME value for the specified date and time. It is a Sql Server native function not dependent on the .NET CLR. WHERE: year, month, day, hour, minute, seconds and milliseconds are integer expressions representing valid year, month, day, hour, minute, seconds and milliseconds respectively. SMALLDATETIMEFROMPARTS is one of the new built-in Date and Time Function introduced as a Part of Sql Server 2012. Returns a SMALLDATETIME value for the specified date and time. It is a Sql Server native function not dependent on the .NET CLR. WHERE: year, month, day, hour and minute are integer expressions representing valid year, month, day, hour and minute respectively. 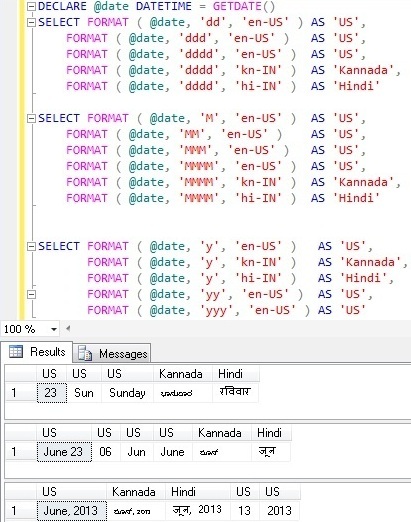 DATEFROMPARTS is one of the new built-in Date and Time Function introduced as a Part of Sql Server 2012. As name suggests it forms a DATE from it’s parts i.e. Year, Month and Day. It is a Sql Server native function not dependent on the .NET CLR. WHERE: year, month and day are integer expressions representing valid year, month and day respectively. Cannot construct data type date, some of the arguments have values which are not valid. 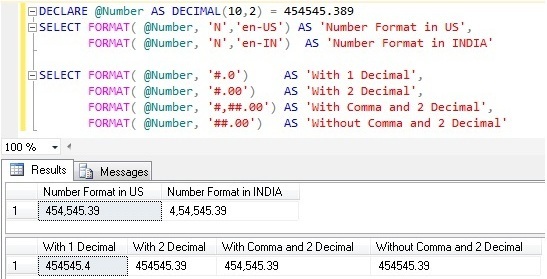 EOMONTH is one of the new built-in Date and Time function introduced as a Part of Sql Server 2012. It returns the last date of the Month that contains the specified date in it. It is a Sql Server native function, not dependent on the .NET CLR. month_to_add: This is an optional integer parameter, if it is specified then specified number of months is added to the start_date and then last date of the month for the resultant date is returned. Example 2: Last date of the month in previous versions of Sql Server like Sql Server 2008, 2005, 2000.